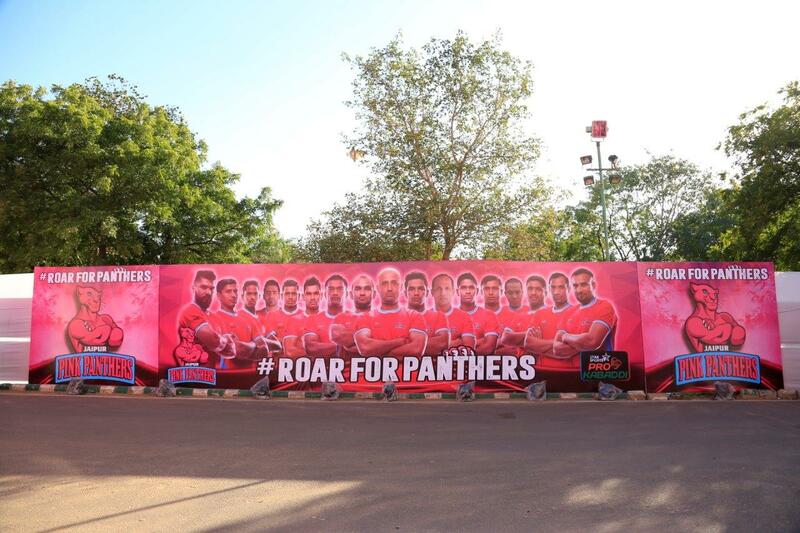 Jaipur Pink Panthers, a Star Sports Pro Kabaddi League team recently held their home matches in Sawai Man Singh Stadium, Jaipur from Feb 20 to 23. The entire setup was managed and executed by GS Worldwide Entertainment. 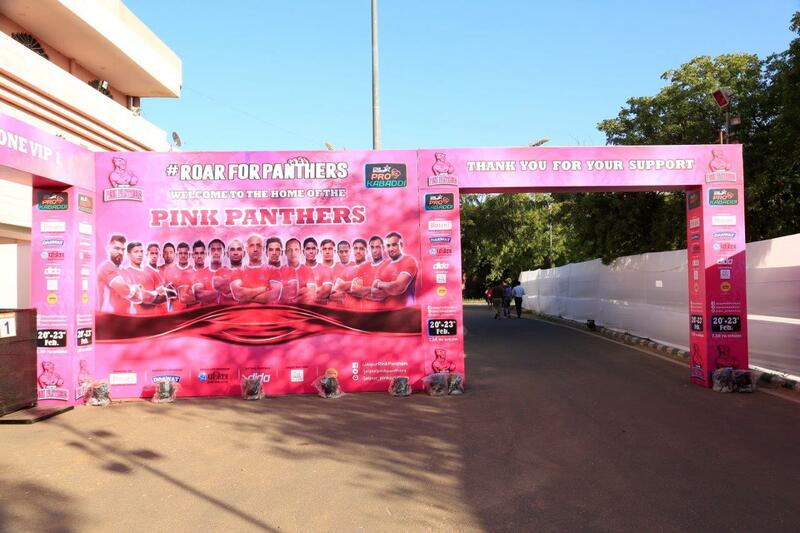 During their home leg in Jaipur, Jaipur Pink Panthers played against Patna, Kolkata, Bangalore and Pune. 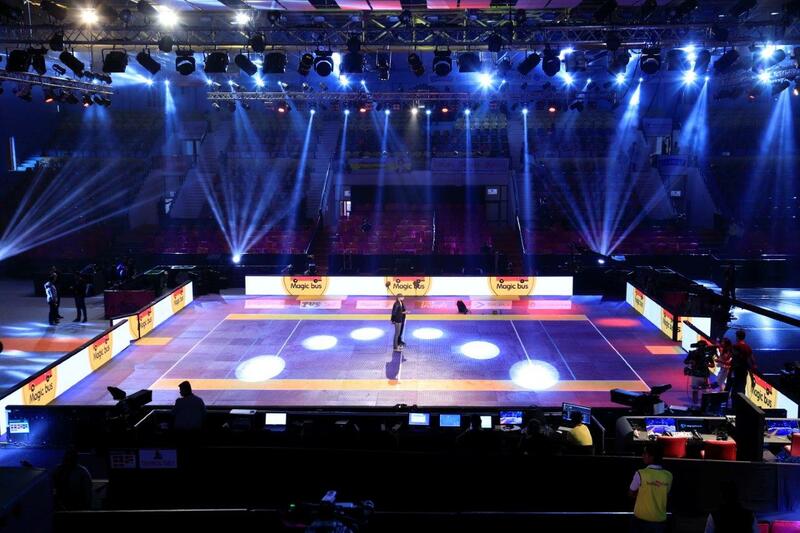 Star Sports Prokabaddi Season 3 kicked off on Jan 30 and ended on March 5, with the finale in Delhi. 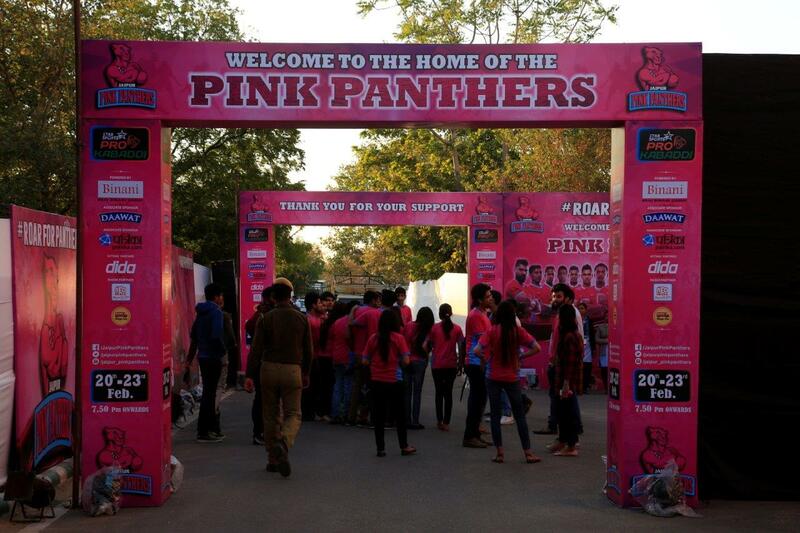 This was the 3rd season where GS Sports managed all aspects of the Jaipur Pink Panther team home games. The parent company GS Worldwide Entertainment works closely with Jaipur Pink Panthers team owner Abhishek Bachchan on his personal business matters in his capacity as an actor. GS Entertainment handled the entire look and feel of the stadium interior and exterior. 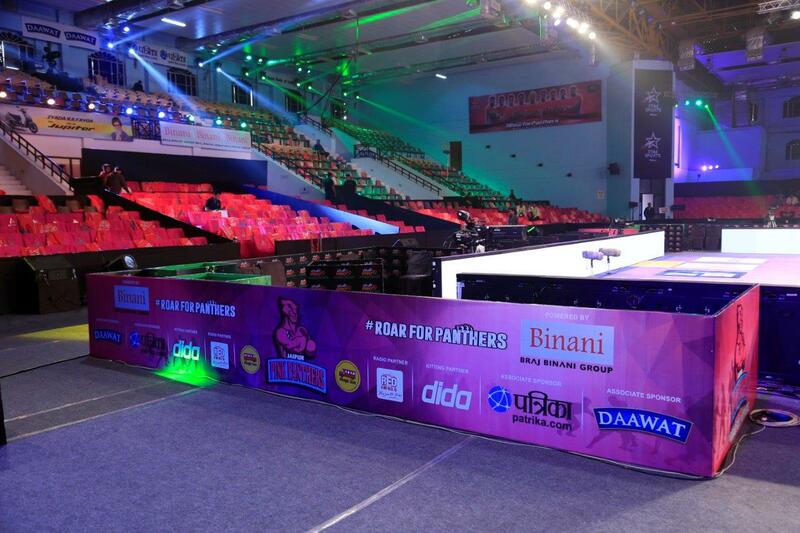 Since the team colours are pink, the team worked towards converting the indoor stadium into a pink fortress for the home team. The entire branding was conceptualized and designed by the agency’s in-house creative team. These were also installed at key points in the city (hoardings, cinema halls and Cafe Coffee Day locations) and the stadium. GS also designed and fabricated Box Office booths across the city and stadium. The entire seating plan inside the stadium was done by GS Sports, with seating added in certain with the installation of platforms and chairs. Seats in the premium sections were branded pink with the team logo. The entire management and set up of the practice and warm up area for the players from both the home team and away teams was managed by GS Sports at the stadium. The various rooms at the stadium including the dressing rooms of the players, media room, medical room, etc were specially designed and fabricated for the event. The agency also took care of security and housekeeping of the entire stadium, and also managed and arranged the F&B setup for crew, players and ticket holders at the stadium. The movement of celebrities and dignitaries from the local government bodies required detailed planning by the agency. As part of the different activities taken care of, the agency had to organize a special photo shoot with the entire team. A dedicated team of photographers and videographers traveled with the team to capture all important moments from the training camp - to the last game. 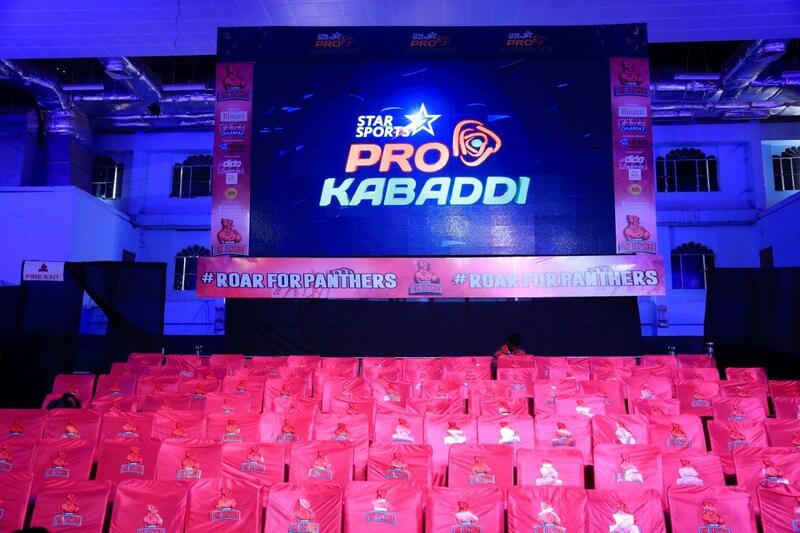 The agency took care of everything from branding to execution, stadium management, hospitality and security of the Star Sports Pro Kabaddi League team.